We didn't set out to try cocktails in Florence, but we weren't about to pass up an opportunity. 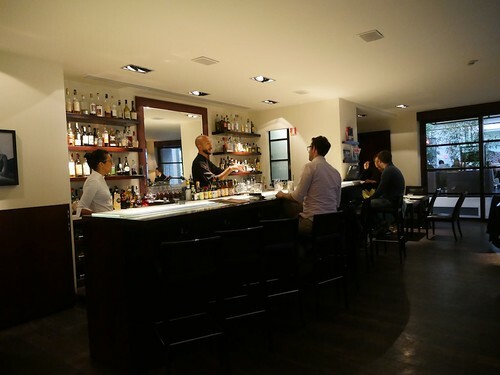 The guys at Ditta Artigianali raved about Fusion, and especially a guy named Marco. After a brief stroll on the river, Noelle and I made our way to Fusion Bar and Restaurant at the Gallery Hotel Art. It's a bit surreal to walk into the hotel. You're immediately bombarded with enormous portraits of American celebrities and a luxury interior. As you enter the restaurant, you find yourself in a nice Asian fusion restaurant with hip jazz music playing. Not what you expect in a medieval city, to say the least. We arrived early, so it was entirely empty. Over time, though, people began to trickle in. Australians, Americans, and lots of Italians of course. 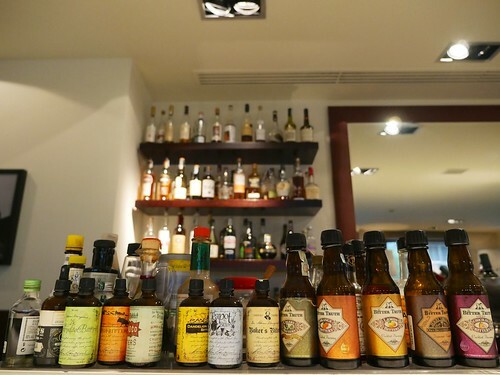 It was never loud, and felt like any luxury hotel bar should feel: easy, relaxed, and comfy. 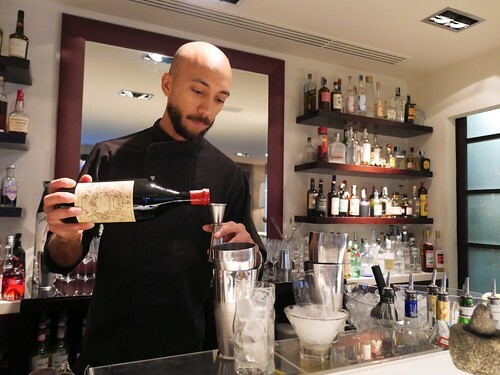 Marco is an absolute beast behind the bar. Watching this guy move is mesmerizing. He's got a kind of natural flair to his movements that you don't see very often. Each motion seems choreographed, but without appearing ostentatious. The casual drinker probably wouldn't even notice. He's more than just moves, too. His execution is spot on. His stirred drinks were never too watery or too boozy, and his shaken drinks were perfectly frothy. Even as orders came pouring in, he never lost his composure. He knocked out drink after drink and still had time to chat with us without breaking a sweat. 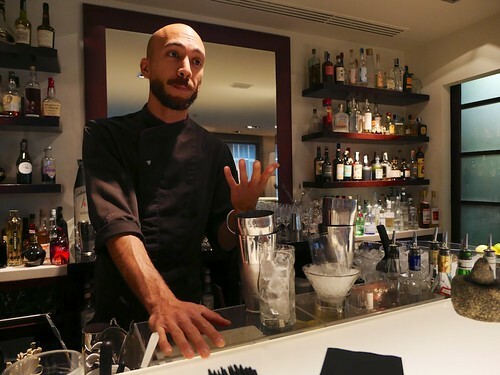 Fusion Bar, he explained, is a rarity in Florence. 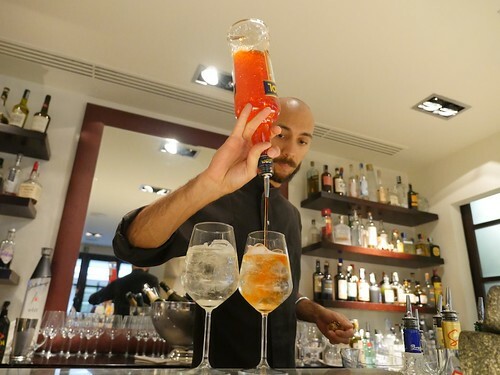 Most Italians aren't used to drinking in hotel bars, he said, and those who did were used to Aperol Spritzes. Despite the craft part of this craft cocktail bar, lots of Aperol Spritzes still went out. 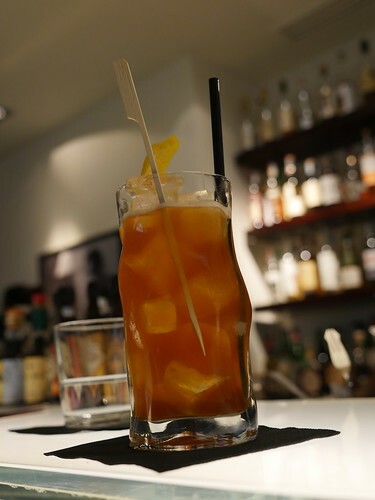 But Fusion had been around for over a decade, and in that time they'd built up a huge fan base who appreciated the bar's craft approach to cocktails. They were doing fresh juices before it was even catching on in the States. 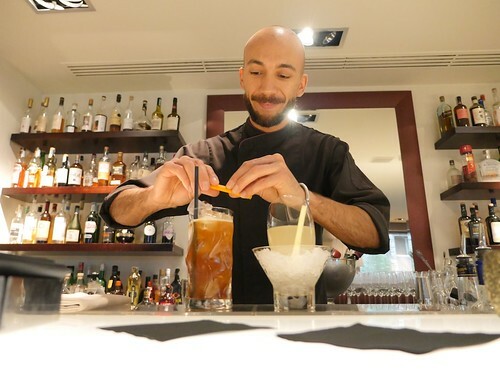 Marco himself was trained as an architect, but his deep love of cocktails put him in a bind. Should he do two things acceptably, or excel at one thing? He chose the latter, and fifteen years later his mastery is apparent. I had an Americano twist, something Marco recommended for a warm afternoon in Florence. 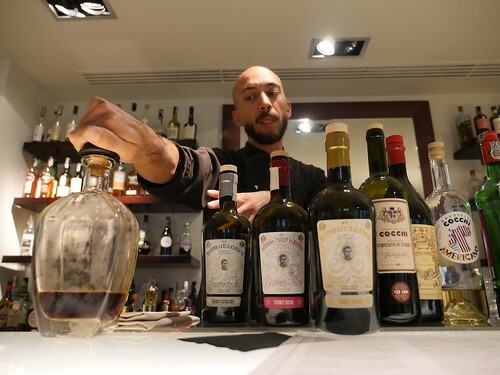 Instead of Campari, he used Cynar. This helped dry the cocktail out a good deal, and the lemon lingered long after swallowing. Like many Italian cocktails we tried, this was sweeter than the American cocktail drinker would normally experience, but it was by no means cloying. All in all, perfectly executed and delicious. We ended with a drink Marco made for a perfume launch party. 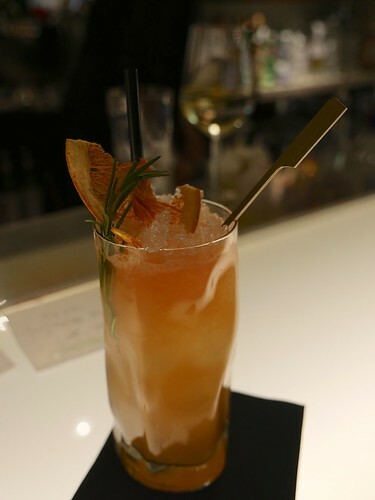 The perfume was heavily scented with grapefruit and rosemary, so the cocktail matched it by using both a grapefruit infused vodka and a rosemary infused vodka. It was sweetened with a rosemary simple syrup. 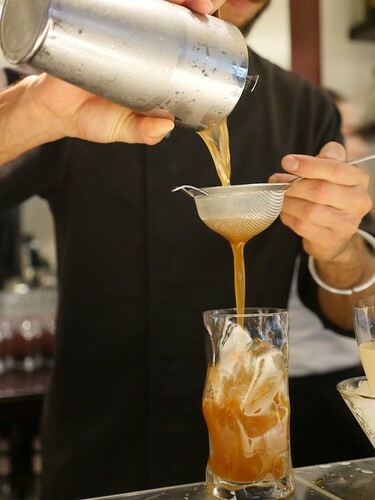 This drink was dry for the Italian palate, but absolutely perfect for the American palate. Just sweet enough to bring out the rosemary and cut the bitterness of the grapefruit, but one would never call it sweet. As usual in Italy, Fusion serves snacks with cocktails. They change every day and fit in with the Japanese theme of the restaurant. We had some edamame and kappa maki. Dinner: every day, 19.30 to 23.00.